In recognition of National Marina Day, on June 8, 2013 the Florida Department of Environmental Protection’s Office of Sustainable Initiatives hosted a “Clean Marina” designation ceremony at Tierra Verde Marina in St. Petersburg. The Department also announced the creation of the Clean and Resilient Marina Initiative, which helps marinas with emergency preparedness. On National Marina Day, marinas statewide and around the world highlighted the marine industry as a family-friendly gateway to rivers, lakes and oceans, while also recognizing their important role in environmental stewardship and the protection of our water bodies from pollution as well as ensuring their future health. Marinas throughout Florida participated and celebrated in unique ways – visit the list of National Marina Day Florida participants to find participating marinas near you. Tierra Verde Marina is recognized as one of the best examples of environmental stewardship among Florida’s marinas. Partnering with Tampa Bay Watch, the marina implements practices that address critical environmental issues such as the protection of sensitive habitats, waste management and spill prevention as well as emergency preparedness. As part of the designation ceremony and in recognition of their efforts toward protecting our ecosystems, Tierra Verde Marina was presented with a plaque and flag on behalf of the Department. 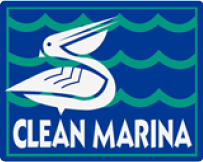 In addition to an ongoing investment in clean marinas, the Department has recently partnered with the Gulf of Mexico Alliance to create the Clean and Resilient Marina Initiative. This program centers around the practice of emergency preparedeness of marinas for both wet and dry boat storage. The Department hopes to educate businesses about the best practices to help mitigate damages caused by storms, floods or hurricanes and allow them to return to normal operation as quickly as possible should such an event occur.